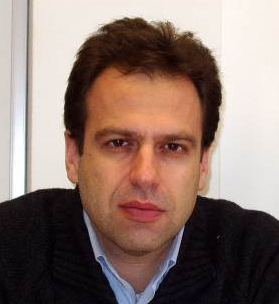 The winner of the First IUHPST Essay Prize in History and Philosophy of Science is Professor Theodore Arabatzis (Athens) for his essay "What's in it for the historian of science? Reflections on the value of philosophy of science for history of science". The paper was subsequently published in the journal International Studies in Philosophy of Science 31:1 (2017), 69-82 . The International Union of History and Philosophy of Science and Technology (IUHPST) is pleased to announce the outcome of the competition for the first IUHPST Essay Prize in History and Philosophy of Science. This prize competition seeks to encourage fresh methodological thinking on the history and philosophy of science as an integrated discipline. The winner of the 2017 prize is the essay entitled "What's in it for the historian of science? Reflections on the value of philosophy of science for history of science", by Professor Theodore Arabatzis of the National and Kapodistrian University of Athens. In his prize essay, Theodore Arabatzis distinguishes the historical philosophy of science from the philosophical history of science. The latter, which is the focus of his discussion, has the potential "to reconstruct particular historical episodes or to address historiographical questions by engaging with philosophical issues about, e.g., experimentation or conceptual change." The committee concurs with Arabatzis that the historiographical potential of philosophical reflection on scientific practice has not yet been fully explored. In the essay, not only is the case made abstractly and contextualized (with reference to Lakatos and Kuhn), but it is also shown concretely for particular topics (epistemic values, experiment, discovery and conceptual change) with various examples from the history of physical science. The essay addresses the prize question directly: what can the philosophy of science do for the history of science? Arabatzis begins from N. R. Hanson's insight that historical analyses necessarily involve metascientific concepts. In detailed discussions of how four particular philosophical ideas have played out in the historiography of science, Arabatzis demonstrates how the analysis of metascientific concepts, whose outlines can be traced by philosophical reflection, contributes to historiographical methods. With an impressive reach and a deep understanding of both the history and the philosophy of science, "What's in it for the historian of science?" convincingly shows the illuminating role that can be played by the philosophical history of science. The essay links this demonstration to a critical analysis of both traditional and cutting-edge work in HPS. It signals the availability of analytic and exploratory resources for the history of science, underwritten by the philosophy of science. Professor Arabatzis received his prize and presented the contents of his essay at the 25th International Congress of History of Science and Technology in Rio de Janeiro (23-29 July 2017). This prize is administered by the Joint Commission, whose remit is to make links between the work of the two Divisions of the IUHPST: the DHST (Division of History of Science and Technology) and the DLMPST (Division of Logic, Methodology and Philosophy of Science and Technology). The panel of judges for the 2017 competition consisted of: Hasok Chang, University of Cambridge, UK (chair); Rachel Ankeny, University of Adelaide, Australia; Jean Gayon, Université Paris I (Panthéon-Sorbonne), France; Alan Love, University of Minnesota, USA; Lydia Patton, Virginia Tech, USA; Friedrich Steinle, Technische Universität Berlin, Germany. Call for Submissions (closed; deadline was 30 November 2016). Entries in the form of an essay of 5,000–10,000 words in English are invited, addressing this year's prize question: "What is the value of philosophy of science for history of science? All entries should contain original work that has not previously been published. For entries written originally in another language, an English translation should be submitted with an indication of the translator. Entries will be judged on the following criteria, in addition to general academic quality: a direct engagement with this year's prize question, an effective integration of historical and philosophical perspectives, and the potential to provide methodological guidance for other researchers in the field. Other strong entries will also be considered for presentation at the Congress. In order to ensure this consideration, entrants should submit the entry also as an individual paper proposal for the Congress by the deadline of 30 November 2016, following the standard instructions . This prize is administered by the Joint Commission, whose remit is to make links between the work of the two Divisions of the IUHPST: the DHST (Division of History of Science and Technology) and the DLMPST (Division of Logic, Methodology and Philosophy of Science and Technology). Entries for the prize competition should be submitted in pdf format by e-mail to the Chair of the Joint Commission, Professor Hasok Chang , Department of History and Philosophy of Science, University of Cambridge, hc372(at)cam.ac.uk. Any queries should also be directed to him. The deadline for submission is 30 November 2016.